I got the Galaxy A80 three days before, I can play my download MP4 and MOV movies on it, but it can’t recognized iTunes M4V movies. How can I play iTunes M4V mvoeis on Samsung Galaxy A80? This Android smartphone suports .m4v files playback, why I can’t do that? Please tell me the solution, simple as possible please. Samsung has unveiled one of its most unique smartphones to date: the Galaxy A80. This model features a sliding pop-up camera array that contains a 48MP F2.0 main camera, an 8MP F2.2 ultrawide camera and a time-of-flight sensor. Cameras aside, the Galaxy A80 features a 6.7″ Full HD+ 1080 x 2400 Super AMOLED display alongside 8GB of RAM, 128GB of storage, and a 3700mAh battery. What if you have lots of iTunes movies and want to play them on your new Samsung Galaxy A80 for playback? Why Galaxy A80 doesn’t support iTunes video files? How to transfer iTunes videos to Galaxy A80 easily? In this article, you will find all the answers. Purchased or Rented iTunes movies are DRM protected so that you can not play them on non-Apple devices. The only way to unlock iTunes movies is removing DRM protection. The popular DRM removal M4VGO is the fatest and best iTunes DRM Removal and iTunes to Android Converter you can find. With this iTunes M4V Video Covnerter, you can get iTunes M4V moveis on Galaxy A80 easily. M4VGO (For Mac & For Windows) adopts an innovative DRM decrypting technique which makes it possible to unlock iTunes DRM videos with lossless video and audio quality. It will help you to directly crack the DRM iTunes video and convert both iTunes purchased and rented videos to Galaxy A80 supported formats and keep iTunes rentals forever! The following is a detailed tutorial about how to convert purchased or rented iTunes movies/TV shows to Galaxy A80 using M4VGO. Please download this useful tool on your Mac or Windows PC first before getting started. Tip: For playing Blu-ray, DVD and other downloaded movies smoothly and without any problem, you need to convert all your movies to Galaxy A80 best playback format via Best Blu-ray Ripper. 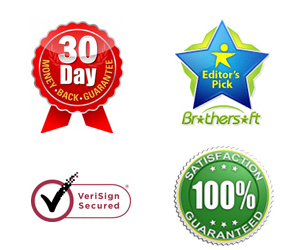 Acrok Video Converter Ultimate co do the job easily. Launch iTunes M4V to Galaxy A80 Converter, click on the Add File icon, then you will see the pop up window which will show you all the iTunes purchases and rentals. This iTunes DRM removal software enables you to add your iTunes video from the needed media catalog such as Movie, TV Shows, Music videos, etc. The added video will show up on the main panel after adding. Then you just need to choose the right output format according to your need from the output profile list. H.264 MP4 is your best choice for Galaxy A80. 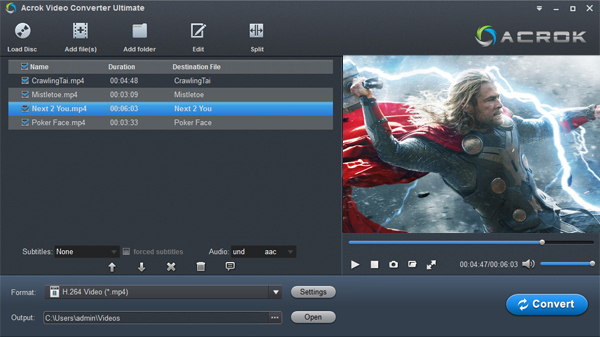 Here you can custom the output video by plenty of option. You can input start and end point to skip the unwanted part or custom iTunes movie by adjusting the video bitrate, frame rate or audio settings. When finish customization, click on the “Convert” button at the bottom to start the conversion. You can click “Output” bar to choose output location. Then you just need to wait till the conversion completed. 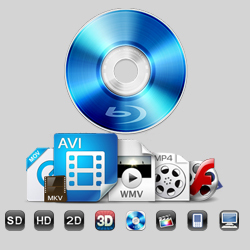 When the conversion done, iTunes M4V movies and TV shows are no different from other local video files. You can transfer them to Galaxy A80 for playing for free now!